The Aler Stove gives villagers' lungs a new beginning. 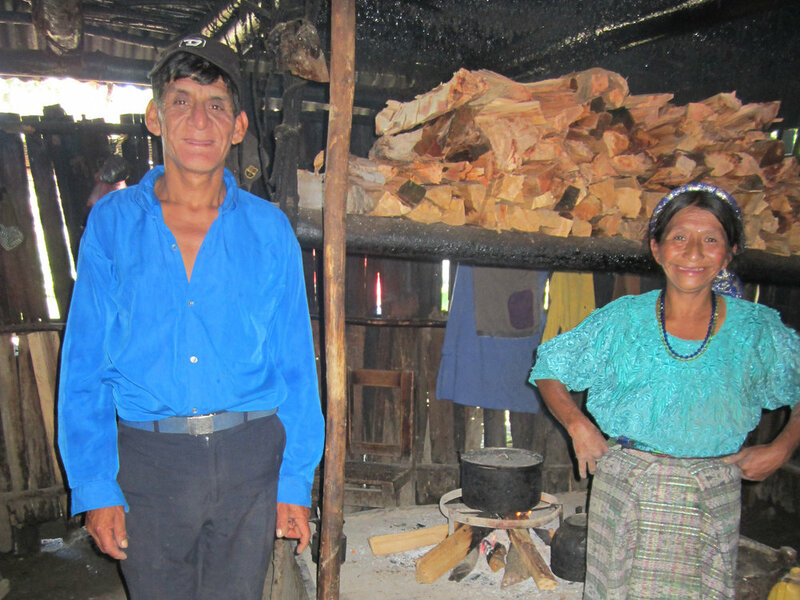 One of the leading causes of illness, injury and death among the villagers of the Barillas area relates to the breathing of smoke inside the village huts from the open fires used for cooking and heat. The Mayan culture has used open fires as a source for cooking for centuries. Unfortunately, children are often burned falling into fires, villagers get respiratory diseases, the wood huts they live in can catch fire, and all of this is in addition to the negative impact it has on the environment. Trees are cut for firewood resulting in extreme deforestation, which has been a major contributor in the horrific mud slides of recent years. Much needed watersheds are also affected by deforestation. Hands For Peacemaking Foundation, along with our sponsoring partners, is doing something about it. Our Guatemalan staff was given the challenge to design and build a stove that would be highly efficient, safe for families, and take any residual smoke outside the hut. The result was the development of the Aler stove, that is manufactured in our Barillas facility. Aler stoves burn 65% less wood, are designed to greatly reduce the risk of burns, and are built right in Barillas, which provides jobs for the local economy. In the past, families who have lost loved ones, have often attributed their deaths to breathing issues caused by breathing smoke from the indoor cooking fires. But they lacked the money to see a doctor or purchase the medicine they needed. With the Aler Stove, not only do they spend fewer hours of each day gathering firewood, but the potential for smoke-related respiratory illnesses has all but been eliminated. Thanks to the support of civic organizations, churches, and concerned citizens, Hands For Peacemaking has now manufactured and installed hundreds of stoves. As a result, respiratory disease among villagers who have an Aler stove has virtually been eliminated.